This Listing is for a Replacement Zinc Plated Cotter Key for securing your Axles Castle Nut. 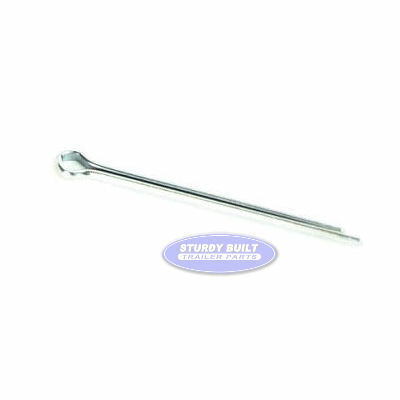 This is a an 1/8" x 2" Standard Cotter Pin. You would use this on axles that have a pre-drilled hole going through the tip of your trailer axles spindle. The Cotter Key goes through the hole after the Castle Nut, and is then bent into the openings in the Castle Nut to prevent the nut from moving. This secures your hub or brake drum onto your axle. Fit snug and I like the added assurance of it being corrosion resistant.